So you may know a little something about paying for "clicks" to your website and "keywords" but you're not sure how it all fits in together with your website and what it all means. Does Small Business Web Designs Run Google AdWords Campaigns? How Do I Run Google AdWords Myself? What Are Keywords? How Should I Pick Them? What is The Cost Of Google AdWords? Do I Need A Google AdWords Campaign? Does It Work? You know those little ads that pop up on the right hand side of the search results and at the very top, above the natural search results that say "Sponsored Ads"? These are paid advertisements that are run through a Google AdWords Campaign. They will show up when someone looks up these keywords because the relevant business is advertising their website and each time someone clicks on the advertisement, the advertiser pays for each "click" that goes to their site. This is known as a Pay-Per-Click (PPC) campaign, because the advertiser is paying for each click which is considered a "lead" for their business. The aim is for the lead to go to the website, be interested in the service enough to enquire and convert to a sale. You may be interested in having your website show up as a sponsored ad for people looking for "nutritionist Adelaide" or "psychologist Brisbane" or whatever your keyword may be. If so, then you may want to take out a Google AdWords campaign. We are frequently asked about Google AdWords, and can appreciate that if your website has just launched, your will be curious about attracting visitors looking for services or products you offer. At Small Business Web Designs, we do not run any Google AdWords campaigns for clients, however we aim to help you learn more about it if you wanted to run it yourself or at least understand it in the event that you want to engage another provider to do this. How Can I Run Google AdWords Myself? The first step is to set up a Google AdWords Campaign. This allows you to identify the keywords that you want to show up for and see how much each "click" will cost you. Once you select these keywords, you can set up your advertising wording to appear and create the settings for when your campaign will run. A daily online advertising budget (i.e. $50-$100). This will make sure you don't get any unexpected and abnormally high bills for unmonitored clicks while you learn the most effective keywords and tweak your site for ongoing results. A "conversion" goal on your site. You should have immediate calls to action on your landing page eg "Call this phone number" or an enquiry form to encourage contact with you from the lead. This helps to make sure that once they are on your page, they have a clear action to do for the next step in getting closer to you. Advertisers (ie you) "bid" on keywords that are searched in Google to pay for highly searched keyword clicks. You will be taken through the process of selecting your keyword and it will show you how much you will pay for each click that goes to your site. You will be shown how to set up your 2-line wording to grab the attention of your audience. Google will display your advert when the relevant search is made if the bid is successful. When the Google user clicks your ad, he or she is sent to your website to hopefully generate an enquiry where you will engage them with the content on your site and effective calls to action (ie call you or email you with accessible links). Once they enquire, it's up to you to "convert" them to a sale. Ads are effectively the face of your product or service on Google and the promotion to your potential customers. When launching an AdWords campaign, the ad copy is best to be keyword-rich and enticing to a shopper, and of course your website's content must match what the ad is advertising! 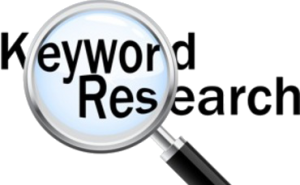 It goes without saying that your keywords should be relevant to your products or services. When you set up your campaign, Google will automatically show you highly-searched related keywords to your business and industry which you can choose from. The advertiser pays for clicks - depending on the nature of the business, that can range fro $2 to $50 per click. Whenever someone clicks on a Google AdWord, Google is paid regardless if a sale was made or not. This makes it essential for the advertiser to set a daily advertising spending cap and monitor this to ensure no overuns or blow-outs. At any moment, millions of Google searches are being made. Many are of a commercial nature, with adverts being displayed in the search results. You will often see “sponsored links” on Google results, which are adverts too. Google AdWords offers advertising for your business based on searched terms, so if you are a builder in Sydney, you can have an advert shown for searchers like "Sydney Builders" etc. AdWords are best used with skill and care – each AdWord needs you to carefully choose the search terms. As such, it may take several attempts at fine tuning the search terms to get people (and/or the right people you are targeting) to click on your advert. Placing AdWords is not cheap, although you control the budget with daily limits (i.e. $10, $20 etc). Before investing in a Google AdWords campaign, research your potential client base and how it's best to reach them. In many cases, Google AdWords is not the solution for effective engagement and every industry is different. We have seen many clients lose a lot of money on ineffective leads, particularly if the keyword selection is too general in nature and overall cost vs. return for the nature of their business may not be worth it. We do not provide any advice given the specialised nature of this advertising medium but encourage you to talk to Google specialists who can help you learn more about it. We do not encourage nor deter you from running any campaigns, we aim to educate you to help you make informed decisions for your business. Marketing is an interesting beast and while Google AdWords can be a a good way to get click leads to your website, in the long run the most successful and lasting way to attract online customers is through genuine Search Engine Optimisation efforts to boost content naturally over time, social media interactivity and many other tips that we recommend. There are no shortcuts to winning new customers from the internet, it will come from consistent ongoing effort that is best managed by YOU.